© School Spirit Promotions 2011 Show your school spirit! 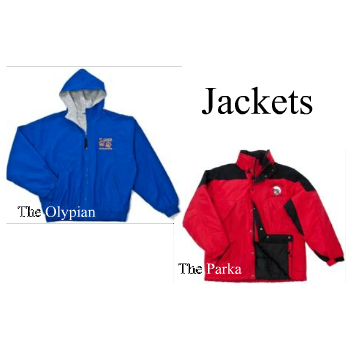 Dress with pride and customize our numerous jacket options with your school colors as well as your mascot or logo! Why not use our jackets to show your school spirit? These jackets make great gifts for anyone in the family. So, support your school and order your jacket today!